​Having worked in a pharmacy for a short while a million years ago, I learned some valuable things. Sometimes I forget how easy it is to not know some of them. One of the most common things people do is take Tylenol PM or Advil PM because they want to sleep even though they don’t have pain. Those drugs contain the pain reliever + diphenhydramine hcl, more commonly known as Benadryl. 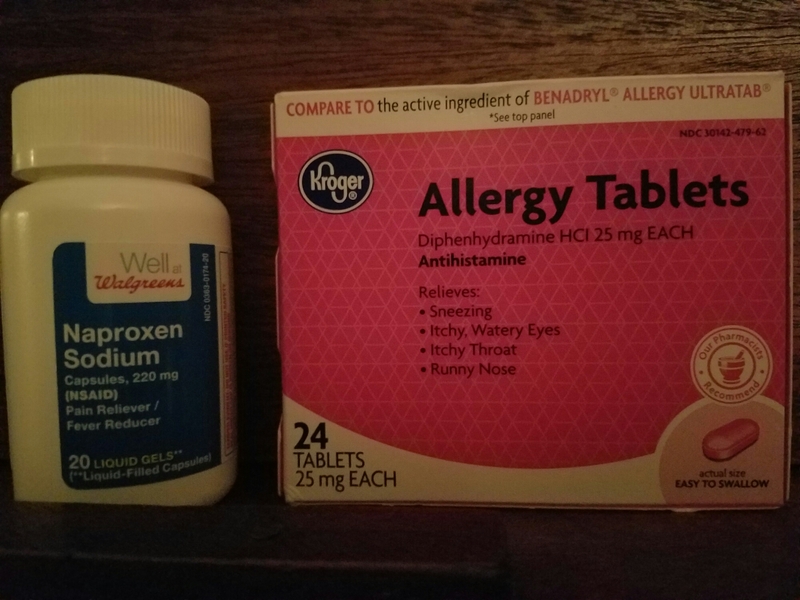 From what I’ve learned, Tylenol can affect your liver and Advil can affect your GI tract, so taking them when you don’t need to is not something you want to do. If you need to fall asleep but don’t have pain, please take Benadryl. Or, better yet, take the generic – diphenhydramine hcl. It’s incredibly cheaper. And it’s better for your body to not take medicine for something if it isn’t bothering you. If you have pain and need to fall asleep, there’s still no reason to rush out for the PM version of your preferred pain reliever. Simply keep both on hand and use them together when you need both of them.